A rendering of the planned sculpture of the surf icon. The first annual Hobie Alter Memorial 3-Club Barefoot Golf Tournament will take place at 1 p.m. Monday, May 22, at The Ranch at Laguna Beach. Proceeds will benefit The Hobie Memorial planned for Dana Point. A sculpture depicting Alter leaning from a Hobie cat sailboat is envisioned on Coast Highway, opposite Doheny State Beach, in front of the new South Cove condos development, said spokeswoman Karin Schnell. Sign up at 949 933-1678. Tickets are $250 and include golf, prizes and dinner. Dinner only tickets are $110. 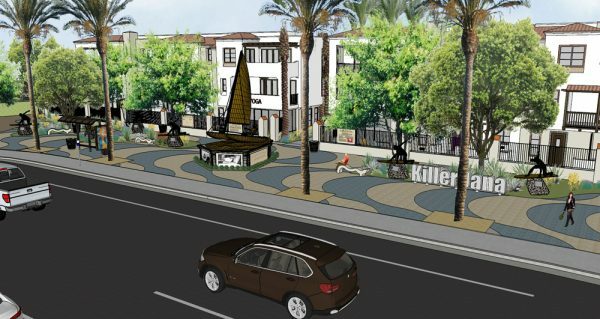 Nine homes in South Laguna will participate in a neighborhood garage between 8 a.m. and noon Saturday, May 20, realtor Chris Tebbutt says in a statement. He said at least the following addresses will participate: 31281 and 31361 on Holly Drive, 31544 Eagle Rock, 31562 Santa Rosa, 31636 Second Ave., 31666 and 31706 Scenic Dr., 31985 Virginia Way and 31910 Ninth Ave. The Passport to the Arts, a $24 pass to three Laguna Beach summer art festivals, for $24 is now on sale. Purchases before May 31 are eligible to win gift certificates. The passport, good for entry to the Festival of Arts, Laguna Art-A-Fair and Sawdust Art Festival is available at LagunaBeachPassport.com. It does not include admission to the Pageant of the Masters. 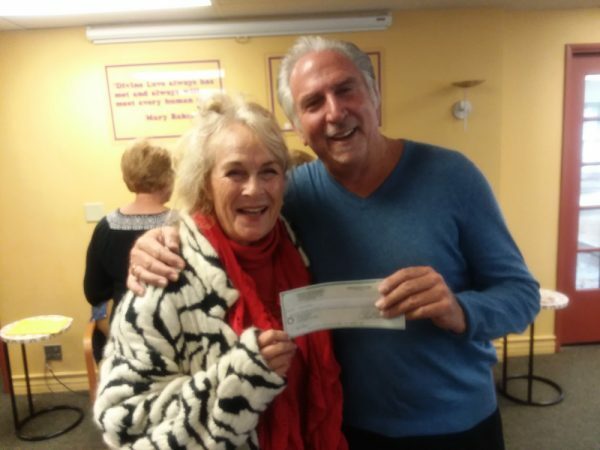 The R Star Foundation of Laguna Beach received a gift of nearly $700 earlier this month from First Church of Christ, Scientist, San Juan Capistrano, which tithes directly to selected non-profits. R-Star has been a recipient seven times. First Church of Christ member Paul Garman presented the gift to founder Rosalind Russell. Financial support aids Nepal’s remote, rural villages,” she said. Email [email protected] or visit the website at RStarFoundation.org for more information.